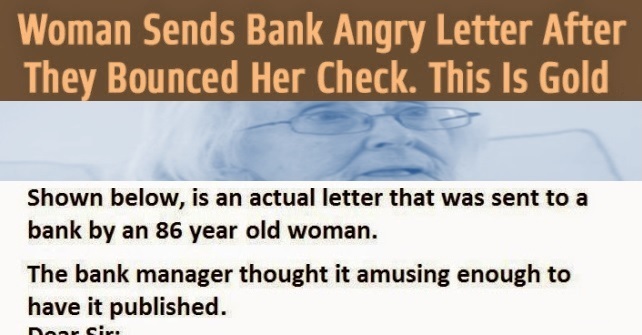 This is an actual letter that was sent to a bank by an 86-year-old woman. It was so amusing that the bank's manager decided to have it published in the New York Times. "Dear Sir: I am writing to thank you for bouncing my check with which I endeavored to pay my plumber last month. By my calculations, 3 nanoseconds must have elapsed between his presenting the check and the arrival in my account of the funds needed to honor it..